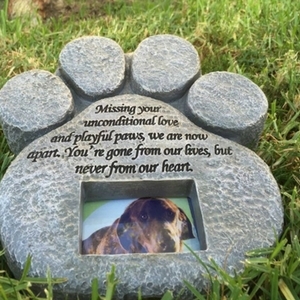 Pet memorial stones are a beautiful way to pay tribute to the beloved companions we have lost. I feel so helpless when it’s time to say goodbye. Everything I could have done was done, and I have to figure out how to adapt without my constant companion. Finding a way to honour the memory helps me cope. It’s the “taking action” that helps with the powerlessness I feel when I can’t save them. One particular passing has still left me feeling raw, three years later. Immediately after it happened, I lit a virtual memorial candle, and I did feel a bit better. In tribute to another dog we lost I bought a memorial garden plaque, engraved with his name and a message. Again I found it helpful. 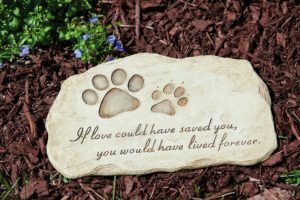 Not only do I love the permanence of a memorial stone, I appreciate their versatility – for use outdoors as grave markers and paving stones, or indoors displayed on a shelf or mantle. I feel most at peace when surrounded by nature, so a memorial stone in my garden is the perfect tribute. When you think “gift” you probably don’t have a memorial stone on your list, maybe you should! We can feel so alone in our grief, knowing someone has honoured our beloved companion in such a way is a beautiful expression of friendship. 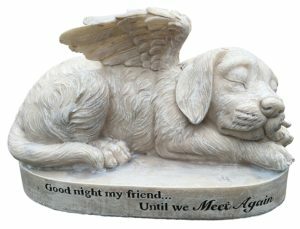 With the look and colour of stone, this high quality resin memorial is 12” x ½” x 3” and has a lovely sentiment carved right in. Perfect for indoor and out, it holds up well to the elements. A nice added feature is the keyhole in the back, making it suitable for hanging. 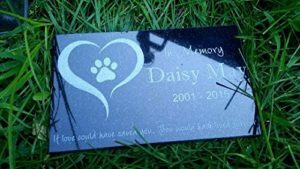 This stunning granite marker comes laser engraved with your pet’s name, the dates you wish and wording of your choice. The engravers can even produce a life like photo. Measuring 6″ x 10″ x 3/8″ it will not fade or crack in extreme weather. 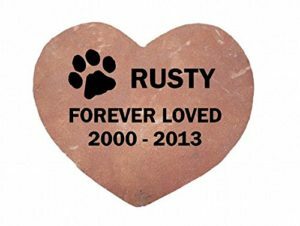 This heart shaped grave marker, hand cut and shaped from natural stone, comes personalized with your pet’s name deep engraved. Perfect for use as a headstone, grave marker, stepping stone or indoor display. 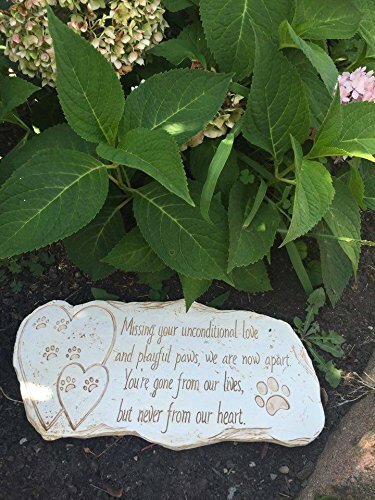 This beautiful paw shaped memorial stone, measuring 8 ¼”H x 8.5”W x 1.5”D, comes etched with a poem and has a 2″ x 3″ photo frame. Suitable for indoor or outdoor use, the stone can stand up on its base for display. Such an eye catching piece, this stunning tribute to a lost angel comes with a touching message. This garden stone is not a design you typically see. Sturdy enough to stand up to harsh winters, yet delicate enough to display in your home, the ability to personalise this, on your own, is a special feature. 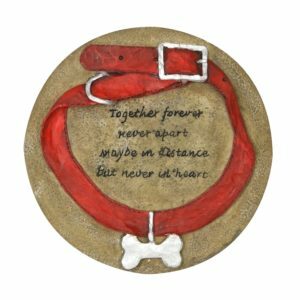 You can paint the collar and write your dog’s name on the tag, meaning you contributed to the creation of this memorial. 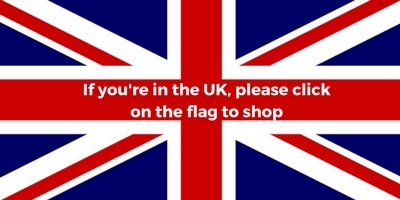 How much more special does that make it? This may not be a pleasant topic, but it’s a healing topic. Losing our four legged companion is horrific, there’s no two ways about that, but we still have to learn to cope, and adjust to life without them. I believe creating memorials is therapeutic, and they have helped me as I looked for ways to pay tribute to beings who were important in my life. We find the things that work for us, and pet memorial stones may be what give you comfort. 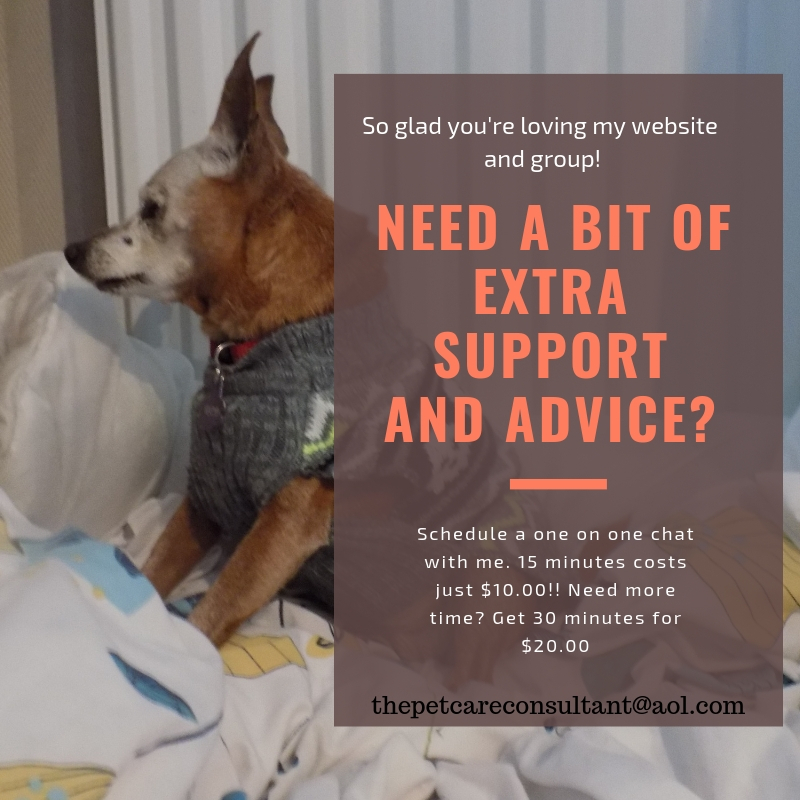 Drop by my Facebook page and join a community of people who share their lives with senior dogs. Post your stories, photos, advice and questions.